Hipperson Construction offers property development and management services that include financing, conceptual development, leasing arrangements, design and construction and building maintenance. Our company is an active member of Building Owners and Managers Association and takes advantage of the training and expertise that they offer for our on and off site building operations staff. Hipperson Construction building management staff, in collaboration with qualified service providers, are fully trained in mechanical, electrical, conveying and overall maintenance systems to ensure tenants receive the response levels and standard of care they expect. 2161 Scarth Street- Total square footage of 21,000 sq. ft. Corporate office for Hipperson Construction. Fully occupied. 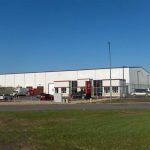 2110 Hamilton Street- Total square footage of 61,000 sq.ft. Fully occupied. 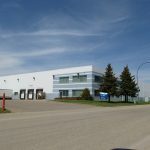 Tenant – Regina Qu’Appelle Health Region. 2100 Broad Street- Total square footage of 40,000 sq.ft. 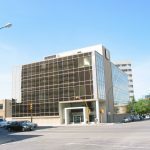 Tenant – Government of Saskatchewan Public Service Commission. Fully occupied. The Real Estate Agent representative is Cushman and Wakefield Regina. Visit their website.